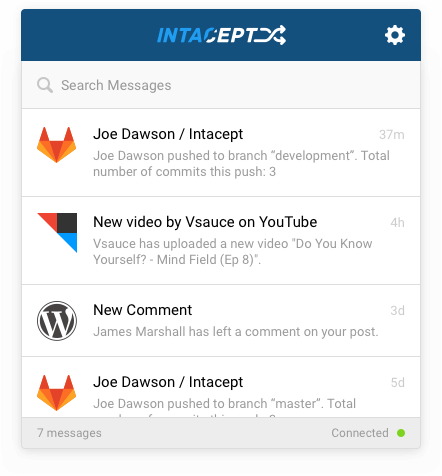 Intacept is currently unavailable on the App Store until some long overdue bugs have been squashed. Follow @intaceptapp on Twitter for updates. It sits discreetly in your tray, but with a click can reveal the messages sent to your registered Pushover device.